Holy Spirit You are wonderful and beautiful. You are “Motherly” and “Fatherly,” all Love. You are like a brother and a sister. You are a friend and confidante. You are joyful as a little child. You are like a very wise old man. You are gentle and kind; yet very strong. You are like a Grandpa and Grandma who comforts me. You are a tenacious teacher who educates and corrects me. You are passionate as You guide me in my way. You fill my soul with boldness and compassion. You are a bright light showing me the path of righteousness. You pour out to me zealous courage, faith and joy. You make me stronger than I really am. You wash me with the Word of God. With You, Holy Spirit, I can do all things the Father asks. I will always glorify Jesus, My Lord, who has given You to me. You are the greatest gift ever! Fire! There’s a fire ready to burn bright. My people are paralyzed with fright. They are standing in the center of My Light. Fire! It’s the embers in their heart. My people are not doing their part. Tell them: Trust Me; it’s time to start! They are protected by My loving heart. Fire! It’s time to go out and share. My people in complacency don’t care. Tell them souls are in the enemy’s lair. They are anointed to free them from the tares. Fire! Time to lean on Me. My people are the Me others see. Tell them pray on bended knee. They have My authority, the enemy will flee. Fire! I AM the Flame in their soul. My people are being made whole. Tell them they are about to fullfill their greatest role. They are My army who will save millions of souls. There is a deep greiving in My people, says the Lord. Grief and mourning. They suffer as the world suffers. They hear and read My promises but do not see the fullness of My Word come to pass in their lives. I am about to remove their grief and replace it with Joy Unspeakable and full of glory. I will give them beauty for ashes and the oil of gladness for mourning. The recesses of their hearts, that are filled with sadness, are being flooded, irrigated, with My JOY! All who will, all who will, all who will receive and be renewed in My joy shall stand and be a pillar and light to which many will run as the wickedness around them becomes unbearable. Good men and women vexed of soul will run to My sons and My daughters who stand in Peace and Joy sharing My Righteousness. Be My son! Be My daughter! Receive a fullness of Joy, so full you will be a river of life every where you go. No longer held by grief mourning in sadness. You shall leap for JOY. You shall stand strong in your Joy in Me all the days of your life. Before releasing what the Lord has spoken to me about 2013, I need to lay the foundation that I am releasing a message from the Lord that began 5773 on the Hebrew calendar and is in combination with the acceleration that will occur as we enter 2013 on the Gregorian Calendar. By way of brief background, the Lord’s spiritual New Year actually starts on Passover this Spring at which time there will be a catapulting into His plans in the earth. However, He honors the civil New Year of Israel that begins at Feast of Trumpets; also called Rosh HaShannah, which means head of the year. When Israel fasts and prays during the Days of Awe that follow Feast of Trumpets and culminate their repentance with Yom Kippur (the Day of Atonement), big things happen in the spirit realms that then pour out to Israel, the church and the world. Whatever happens to Isreal not only affects them, but prophetically affects the church and thereby the entire earth. Whether we want to admit it or not, whatever condition Israel is in the natural realms, the church is in the spirit realm, the world reflects the spiritual condition of the church. If we want to see wonderful things happen to heal our land, we need to first bless Israel and second have healing in the body of Christ. I explain all this because what I am posting has to be received individually and collectively by the body of Christ and applied with action of blessing Israel first and then ourselves. We must make our choice with knowledge that we can refuse to receive and apply what God is releasing and that means we will stay stuck where we are while others enter His promises. In our church we have decided not to be stuck while others enter the glorious promises of His written Word and prophetic word. We have always endeavored to be led of His Spirit. As we yeilded and obeyed, the Holy Spirit started us on a journey 21 weeks ago. We have come to a new place where we have left the strife, division, shame and condemnation, and the performance based mentality of the religious community behind. We are climbing the Mountain of the Lord, so to speak, and have each week received the truth of the Word of God and applied it to our lives. When scripture is genuinely received and we tell the Lord we want it activated in our lives, the Holy Spirit goes to work to activate it! We begin to experience transformation and freedom to become more like Him. We are not instantly perfected, but we are a work in progress and He responds to us as if we are already a complete work. At the time of this message for 2013, we were step by step receiving the Kingdom of God for our lives. The Scripture then for 2013 is Romans 14:16-18 Therefore do not let your good be spoken of as evil; for the kingdom of God is not eating and drinking, but righteousness and peace and joy in the Holy Spirit. For he who serves Christ in these things is acceptable to God and approved by men. We had already stepped up in righteousness during a previous encounter with God and we had entered the realms of peace that surpasses all understanding in preparation for entrance into Fullness of Joy. Stepping into Fullness of Joy is crucial for us because it is a foundational truth that is important to our life journey and, more than that, a promise to us for 2013 and beyond. We need to make this step NOW because we need the strength joy brings in order to finish the race to our high call in the Lord Jesus Christ. And we need the strength joy brings in order to fulfill our commission in the Lord for 2013 and the rest of the decade; for the rest of our walk with Him. Good tidings of Joy to all people was also restored by the birth, life, death and resurrection of Christ Jesus. This great joy is a combination of the Greek words of Megas and Charas (Hah Rah). Charas means received joy. The promise for this year and this whole decade is full measure of Megas Charas to ALL people! Just as the Angel announced to the shepherds, we have and are receiving announcement of good tidings of great joy which will be to all people. The initial message was an Awakening for those shepherds. This whole decade is one of Awakening for us – Awakening to the things of God. We are in the Hebrew decade of the 70’s. The number 70 in Hebrew represents ability to see good and evil; to awaken so one can choose between the two. As the year turned to 5770/2010 – a heavenly alarm clock began to ring to wake up the people of God to see the evil ways of their lives and to choose His ways. The ability to see in the spirit, to discern good versus evil was released. We entered into a time where we could receive the fullness of discerning of spirits: the ability to know what is God, what is the devil and what is the evil intent of man’s own worldly selfish heart. 5771/2011 there was Awakening to the role of Father God in our lives and His abundant love for us; the rebuilding of our relationship in Righteousness with a loving Father began. Relationship with an approachable Father, as beloved sons and daughters, began to replace our religious habit of works performed to seek the favor of a distant task master. 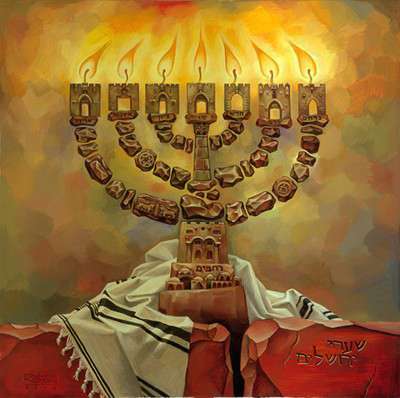 In 5772/2012 there was Awakening to who Jesus really is and that we are Beth Yeshua, His house, the House of Jesus. The renovation of His house began. The work to restore the truth of His Word in peace to His house was started. The knowledge that we are seated with Him in heavenly places and on earth we are His hands, His face, His voice, His eyes was restored. Also, that we can do what He did and more was released to His own. Now in 5773/2013 there is an Awakening to the Holy Spirit and His work in our lives and the earth. The rebuilding of Fullness of Joy in the Holy Spirit has begun. It is a year that brings good tidings of FULLNESS because it is an awakening to the Full God-head. 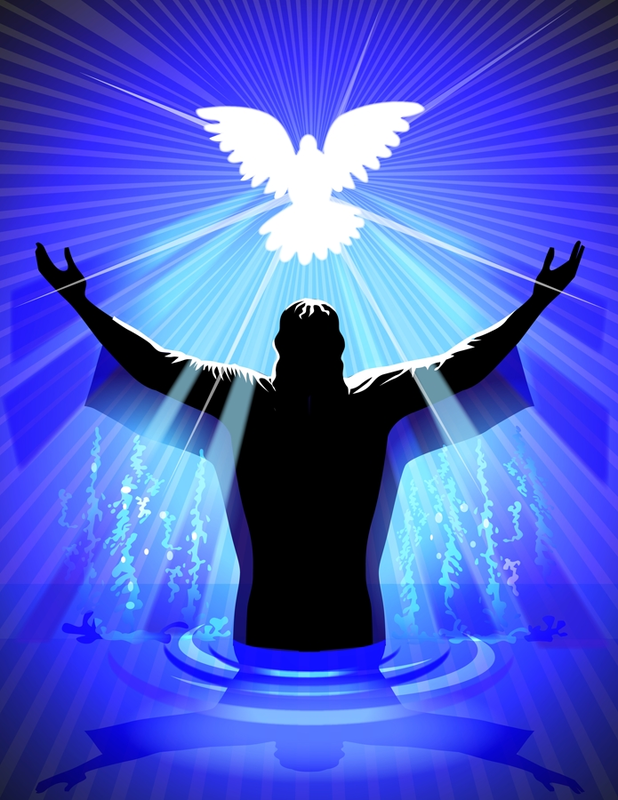 We are now awakened to Father, Son and Holy Spirit in a marvelous new way. For those who have RECEIVED, the blinders of shame and the earplugs of condemnation are gone; the chains and grave clothes of religion are gone. Now, we can see hear and experience the fullness of Joy, the fullness of the Godhead that the Holy Spirit brings to our lives! Back in Sept 2012 the Lord dropped into my heart this phrase for the Holy Spirit’s work in 5773/2013 and beyond: Conformation and Transformation in preparation for Reformation. The Holy Spirit will be working ever more intensely to conform us into the very image of Christ Jesus. The conforming of our minds and hearts is vital. As this process increases throughout this decade it will be so complete and we will be so in agreement with the heart of the Father, that as we pray there will be transformation of cities, regions, governments, people groups all around us. This 2013 is the beginning of a release of extremely effective intercession that will shake the world as we move out in the fullness of the Godhead flowing through us: fullness of righteousness, fullness of obedience, fullness of compassion, fullness of knowledge, fullness of wisdom, fullness of understanding, fullness of peace and on and on. There is a reformation that has been brewing relatively unseen since the beginning of the decade. The church that we have known is the first governmental structure in the earth that will be reformed and transformed because we are individually being transformed. The good news is that what has been a hidden work of God is about to be revealed. This is a significant year for the body of Christ to choose His High Call or not. We can fight conformation to the image of Christ and be relegated to carnal religious mediocrity. Or, if we will yield to the conformation process, we will be partakers of transformation and leaders in the reformation that will birth the greatest revival and harvest of souls the earth as ever seen. This significant and pivotal year will reveal a Kingdom of God people who walk in Righteousness, Peace and Joy in the Holy Spirit who are acceptable to God and approved by men! That word used in most versions of the bible “acceptable” isn’t quite right – it is the Greek word Euarestos (You are’ ess toss). It should read instead that we are highly pleasing or well pleasing to God. He takes great pleasure in those who enter this part of the journey. I am totally convinced that this is the year we will begin to see the revealing of the sons and daughters of God that the whole earth is groaning for. It is the ones who are Euarestos that will be the ones revealed. The hallmarks of these men and women of God will be righteousness despite all temptation. Peace despite all the strife around them. And Joy based out of their heavenly home not circumstances of this earth. More than that it is the dawn of a people who will be fully of aware of being in the presence of God at the same time they are fully aware of ministering for Him in every circumstance of life. No longer in or out of sensing His presence. We are about to be aware of life fully in His presence at all times. It is not coincidence that our last step of 2012 is Joy in the Lord. It is the platform upon which we will build in 2013 – for we are well pleasing to God – He delights in us! His JOY is ours. As we receive fullness of Joy, where others are yoyos of emotion bouncing between momentary world -based happiness and abject sadness, grief and weeping over loss of that happiness…We will be steady and strong no matter the natural circumstance, always able to look heavenward. Even if there is nothing good found in the earth, we can rejoice over our God, over Jesus and our salvation over the Holy Spirit who guides. Not only that but even in tragic times, we have had and will continue to increase in the ability to see what our God is doing in the earth to save souls, heal, deliver and prosper those who love Him… and even those who don’t care about Him will be blessed because of us. We are becoming exceedingly unusual people who live in God’s presence while walking the earth. What use to spiral us into discouragement, depression, hurt, pain and frustration will no longer succeed as we allow the Joy in the Holy Spirit to flood our soul. It does not mean we are in denial, we will experience sorrow over tragedy and loss. We have entered a time of Great Compassion and Intercession as we bear burdens. Jesus wept over the loss of His friend Lazarus. He wept over His people who rejected Him. He wept over Jerusalem. He weeps still over us bearing our burdens to the Father. Yet, He had great JOY and He takes great Joy in us. We have this same ability in us and starting this year it will be expressed. This ability is one of the great treasures of God, a mystical or mysterious thing in a way, that we can be even in grief over the loss of a loved one… yet turn our eyes toward God and supernaturally joy strengthens us to continue in the journey. In fact, a son and daughter of God will find themselves pouring that joy-based strength out to others even in the midst of their own loss because they are so drenched in the joy they have in their Lord. He is showing us the path of life that leads to His presence where we are fully satisfied and merry-hearted no matter the circumstances we are in. This is an important path because He tells me that most of His church needs to experience beauty for ashes and the oil of joy for mourning that only He can give. They are trapped in the wilderness and need people who can help them find the way out. 9) “As the Father loved Me, I also have loved you; abide in My love. 10) If you keep My commandments, you will abide in My love, just as I have kept My Father’s commandments and abide in His love. 11) “These things I have spoken to you, that My joy may remain in you, and that your joy may be full. 12) This is My commandment, that you love one another as I have loved you. 13) Greater love has no one than this, than to lay down one’s life for his friends. Jesus said that to abide in Him, to receive His love and to love one another as He loves us causes us to be a boat full of JOY- that means we are also a boat full of strength. Peter further tells us about the Joy Jesus gives. in 1 Peter 1:3-9 In this verse he tells us there is a place of Agalliasis (ah gaul lee ah sis) or Agalliao (ah gall lee ah ho). The Greek word family that means extreme joy and gladness, exultation, or triumphant joy. And there is a place of unspeakable or inexpressable joy called Anlekaetos (On lek all ay tohs) that is a gift to all of us that belong to Jesus. 1 Peter 1:3-9 3) All praise to God, the Father of our Lord Jesus Christ. It is by his great mercy that we have been born again, because God raised Jesus Christ from the dead. Now we live with great expectation, 4) and we have a priceless inheritance—an inheritance that is kept in heaven for you, pure and undefiled, beyond the reach of change and decay. 5) And through your faith, God is protecting you by his power until you receive this salvation, which is ready to be revealed on the last day for all to see. 6) So be truly glad. There is wonderful joy ahead, even though you have to endure many trials for a little while. 7) These trials will show that your faith is genuine. It is being tested as fire tests and purifies gold—though your faith is far more precious than mere gold. So when your faith remains strong through many trials, it will bring you much praise and glory and honor on the day when Jesus Christ is revealed to the whole world. 8) You love him even though you have never seen him. Though you do not see him now, you trust him; and you rejoice with a glorious, inexpressible joy. 9) The reward for trusting him will be the salvation of your souls. Inexpressible is a word meaning that it is exceeding the power of human speech; it is so wonderful, or so awful, it is unutterable; inexpressible; indescribable, simply unspeakable. We are about to step into that place of unspeakable joy! Jude 1 24-25 Now to him who is able to keep you from falling and to present you before his glory without fault and with unspeakable joy, to the only God, our saviour, be glory and majesty, power and authority, through Jesus Christ our Lord, before time was, now, and in all ages to come, amen. Act 2: 46) And they, continuing daily with one accord in the temple, and breaking bread from house to house, did eat their meat with gladness and singleness of heart, 47) Praising God, and having favour with all the people. And the Lord added to the church daily such as should be saved . The word gladness isn’t quite descriptive enough – it is the same word for extreme joy. So, we find that this unspeakable joy is both the place where Jesus presents us to the Father and a state of being and living here in the earth! In 2010 at the change of the decade – the Lord gave me Psalm 126, our Psalm of ascent for tonight. It had been a difficult year and He gave it to me prophetically… that if I would continue to climb. That if I would continue to abide in Him and love those who abandoned me, those who betrayed me, those who simply could not stay the course so I had to let go… that He would fulfill in my life and those connected to this ministry everything in this Psalm. This joy we are stepping into is not only for us to be restored and transformed, not only to love one another in the body of Christ…not only a celebration because are entering revival… it is what will draw people to us so we can share Jesus in us. How different we are and will increasingly be – walking in peace and joy when people see none elsewhere. These traits, these fruits of the Spirit will draw them to us. As we bow down between the porch and the altar weeping over the world condition, willing to be exposed, willing to be changed, willing to carry the burden of intercession, willing to be mediators and ministers of reconciliation, as we bear seed (share the gospel) out in the market place we shall doubtless come again with rejoicing bringing our sheaves with us. Our commission in 2013 is to be joy-bearers! To share the good tidings of Joy. To share the GOOD news of salvation through Jesus Christ. Let the grieving glumness of religious drudgery be washed off of you this year. AWAKEN! Turn your eyes heavenward, rejoice in your heavnenly home and let that JOY pour out of you into a lost, dying, spiritually starving world. Yes, there will be difficult things to bear in 2013 and beyond… increasingly so. Yet, those who will receive from Him will see with spiritual eyes from His perspective. They will walk in the strength of Joy in HIM, fixed on Him and the glory set before them, not circumstance.